Any dessert looks better in a mason jar don't y'all think? 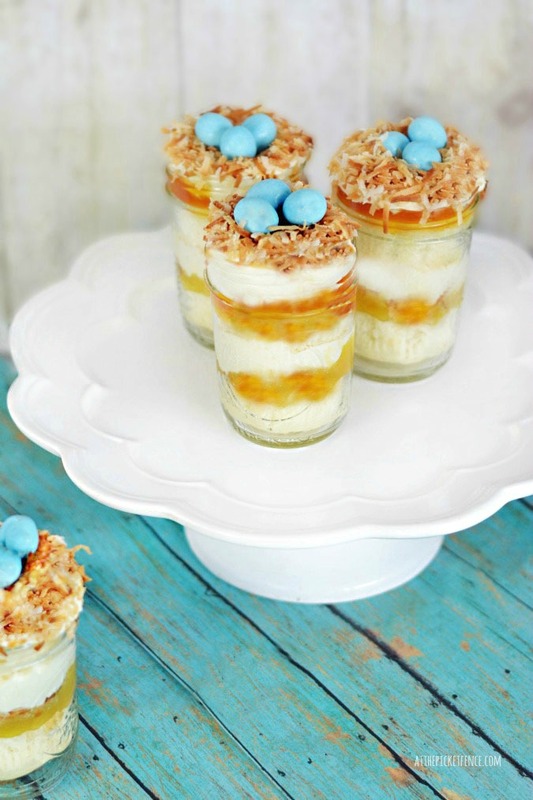 These bird's nest cupcakes in a jar from At the Picket Fence are no exception. Get the recipe and instructions by clicking here. Then add these to your list of "must make" mason jar foods!